Long-serving Egypt goalie Essam El-Hadary has signed a two-year deal with Ismaily, just a few days after extending his contract with Wadi Degla. The future of the 41-year-old veteran has been under immense speculation of late, following media reports that he was close to rejoining Zamalek. But after Zamalek manager Mido had made it clear there was no place for El-Hadary - who had a troubled spell at the Cairo side four years ago – it was announced that the ex-Ahly keeper had renewed his Degla deal. The signing of El-Hadary is also expected to cause problems at the Dervishes, as want-away keeper Mohamed Awad, already linked with Zamalek, will be likely to remain resolute on his decision to leave the club. 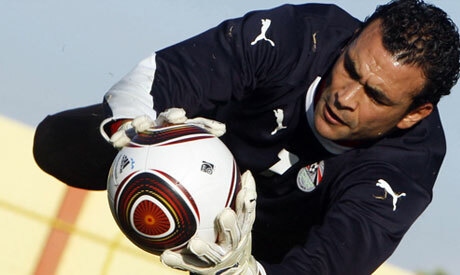 El-Hadary, who was instrumental in helping Egypt to three consecutive nation cup titles, has been unsettled since notoriously rescinding his contract with Ahly to join Swiss side Sion in 2008. He has since joined a host of clubs including Ismaily, Zamalek, Sudan's Merreikh and Wadi Degla but has struggled to emulate his Ahly heroics, which saw him help the Reds to record-breaking domestic and continental triumphs. (For more sports news and updates, follow Ahram Online Sports on Twitter at @AO_Sports and on Facebook at AhramOnlineSports).